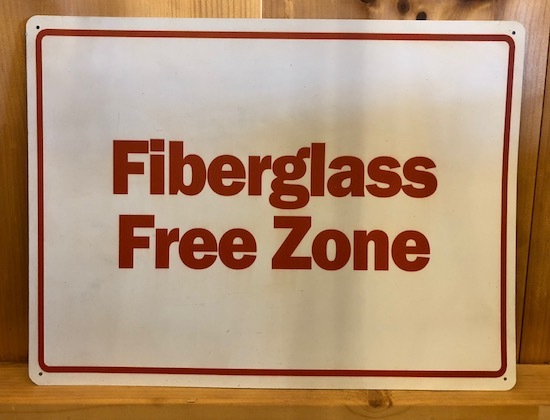 I have been told by a number of people that they have never been exposed to fiberglass. However it is very rare that someone has not been exposed to airborne glass. This is a list of ways fiberglass is used. If you know more places fiberglass is used that are not listed on this page please share. Fiberglass lined air duct with the fiberglass on the inside of the duct where the air blows past it. It was releasing large amounts of small invisible fiberglass particles into the air. This picture shows the inside of a flat roof. It has a fiberglass center with sealing material on the top with sheet metal on the bottom. It is common for flat roofs to get leaks and a roofer will come out and recoat it with more sealent. What is not considered is when the roof leaks the fiberglass gets wet. 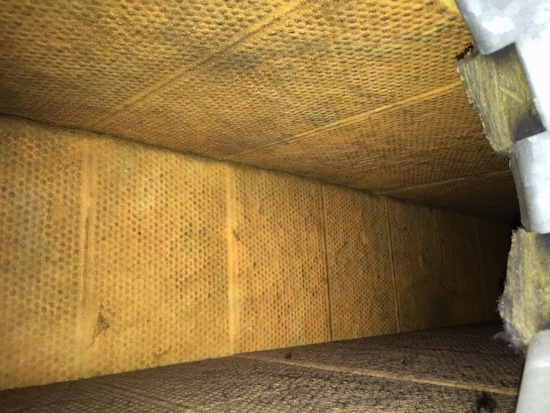 Water damaged fiberglass produces very poor air quality. 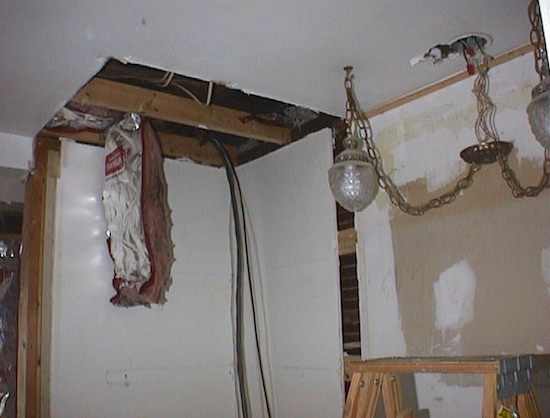 This picture shows how fiberglass is often above ceilings. Sometimes fiberglass is in places where it was not intended to be. It is very common for a mouse to pull fiberglass from walls and build a nest with it. In this case the mouse carried the fiberglass to the inside of a car and made a nest in the ventilation system. This is the car's cabin pollen filter. Notice the fiberglass. When the car heater or AC was turned on it would blow tiny glass fibers too small to see with the naked-eye into the air of the car. 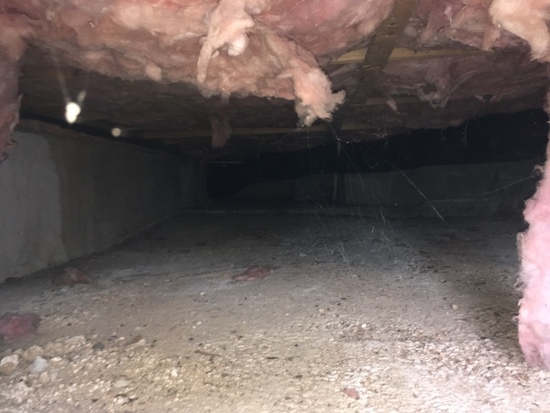 This is a basement crawlspace of a house showing how the fiberglass is under the floors. It is aged and falling apart. When most people think of fiberglass they think of brand new bats and they picture it perfectly installed behind a wall with no holes for electrical wires or light fixtures. However fiberglass is not just behind the walls and like everything in life, it ages and it does not stay in the same condition. Microscopic glass fibers are in the air all over. You cannot see them, but they are there.